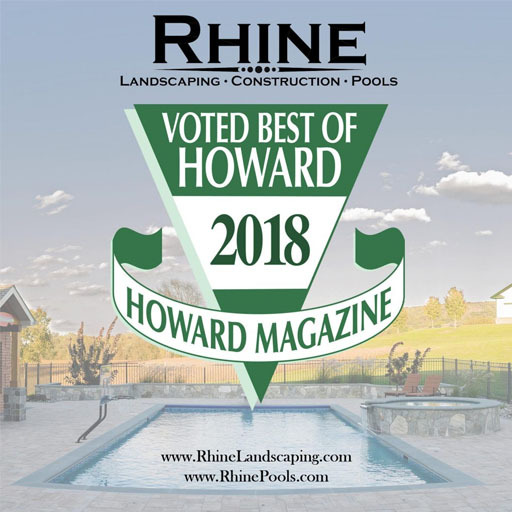 But if you are in need of expert swimming pool contractors in Howard County, then you can trust the advice of Rhine Pools. Let’s look at how to add a handrail to your current pool. The beginning of April still seems chilly, but you don’t need to get away to the beach to enjoy the water. Opening up your pool is simple enough especially when you keep your swimming pool heated. But if you are in need of expert swimming pool contractors in Howard County, then you can trust the advice of Rhine Pools. Let’s look at how to add a handrail to your current pool. First of all, you can try modifying your pool deck. Decide where you want the handrail to go and then remove some of the concrete from your swimming pool deck. If don’t know how then you should rely on the professional expertise of experienced swimming pool contractors that can help you make sure this job is done as neatly and quickly as possible. The anchors for the new handrail need to be placed in the section of the deck that you’ve removed. Once that is done, you must redo the section of the deck, no matter what material you used for it. Doing this may not be the best option for you to select, depending on how much time and money you can afford to spend on it. Also, you need to make sure you leave enough room for the railing anchor, so you don’t inadvertently cause significant damage to the structure of your pool deck. The next method you can attempt is to use a core drill. With the drill, you can put new holes in the deck of your swimming pool. Be sure that you carefully mark off where you plan to install the handrail for the swimming pool. Don’t let the drill overheat, and make sure no debris from your work falls into your Howard County swimming pool either. Some gravel should help keep the handrail steady as you install it. However, when using the core drill technique, you may need a substance known as quickcrete. The quickcrete can set quickly and help you make sure that the handrail will not come loose. The third method you can try involves using a mounted anchor. This technique is the least demanding, but you’ll still need to mark off the spot for the handrail and use a drill. The anchors should come with everything you need to set them up. Now go and enjoy your swimming pool, and become the envy of your Howard County neighborhood!